Greetings from the Australian National University in Canberra, where Professor Glyn Davis, Vice-Chancellor of the University of Melbourne is speaking on "Irredeemable time: the rising tide of hostility towards universities". Professor Davis began by recommending "The Making of The Australian National University" (Foster & Varghese, 2009). He then took us back to the dissolution of English monasteries as a pointer as to what governments may do to universities. While Australian universities are not as wealthy as Oxbridge, they still have significant assets. Professor Davis pointed to US research that a majority of Republicans view universities as a negative influence. He suggested a divide where those with a degree vote left and for internationalism, those without will vote for Donald Trump. I suggest this does not apply to all. I have noticed a tendency for some of our own Australian entrepreneurs to suggest a university degree is not needed for success (while basing their start-ups on the publicly funded research results from universities and staffed with publicly funded PHDs). In May I visited River City Labs in Brisbane, where founder Steve Baxter seemed a bit ambivalent about the role of universities in innovation. Professor Davis then looked to the promises made by universities as a cause: students gained a degree, a large debt, but not necessarily a good job. Turning to Australia, he then looked at the current government's view of universities with over-paid VCs and a focus on research. Professor Davis used the Victorian era railway as an example of technology which made some traders obsolete (such as river fishers in Oxford, despite opposition by the university). The 21st century railway is the Internet, with Silicon Vally setting up low-cost education online. He used the example of Udacity offering nano-qualifications. Professor Davis interpreted this as a development of the distance university. It was interesting he mentioned only US examples, not UK Open University which preceded them (and was in part based on Australia's University of New England). Professor Davis suggested that universities need to better engage with the community, to show their worth. I suggest they also need to be able to deliver vocationally relevant, low cost sub-degree and nested degree qualifications, with an on-line delivery option. At question time I admitted I had a degree from an overseas "open" university (which happens to be in the field of designing international education). I asked Professor Davis about the role of private for-profit universities, such as Adelaide's Torrens University of Australia. He pointed at that US based for-profit universities had not been able to displace conventional ones and that traditional institutions had proved adept at providing on-line education (in some cases taking over commercial on-line institutions). Professor Davis was preaching to the converted, with the ANU VC and two past VCs present. This was an informative, scholarly, but also entertaining and vigorous defence of the university. Greetings from the opening of EdTechPosium Conference 2017 at UNSW/ADFA in Canberra. The theme of the conference is "Fitting the Tech to the Teaching", but Kim Tairi, Librarian, AUT in Auckland, started her keynote on a more personal note. She discussed how she came to be the Librarian of a university and issues with taking on a leadership role. Kim emphasized the human aspects of scholarships, proposing "Circles of Kindness". This gives my more confidence about taking the person approach in my presentaion on "Dogfooding" at 11:25 am. One of the more entertaining parts of higher education are the advertisements universities use to attract students. Each year brings a crop of silly video promotions. This year "Deakin University's Cloud Campus is your campus; without walls" is at least short, if somewhat mixing metaphors. An exception to the usual fluffy kitten approach to university marketing is the Australian Catholic University (ACU), with their "ACU I Impact through empathy" campaign. The Australian Computer Society (ACS) has announced the members of their Blockchain Committee for 2017/2018. I am delighted to have been included. The committee is to look into the technical aspects and use of blockchain, including Smart Contracts. Chair: Dr Vincent Gramoli, Head of the Concurrent Systems Research Group at the University of Sydney. Vice-Chair: Dr Philippa Ryan, barrister and lecturer, Faculty of Law, University of Technology. Professor Ren Ping Liu, Head of Discipline, Network and Cyber Security, School of Electrical and Data Engineering, University of Technology Sydney. Mr Scott Nelson, member of the National Committee of the IEC in Australia. Mr Tom Worthington, Honorary Senior Lecturer, Research School of Computer Science, Australian National University. The Australian Computer Society (ACS) has announced the members of their Professional Education Governance Committee (PEG) for 2017/2018. I am delighted to have been included. The PEG has "Responsibility for strategy and oversight of ACS education programs and activities leading to formal outcomes or qualifications" (ACS, 2017). This covers programs run by ACS and accreditation of computing degrees at Australian universities. Vice Chair: Mr Stuart McIntyre, senior teacher in Information Technology, TAFE SA. Mr Nick Marks, Director of IT, enterprise business, Singtel Optus, Australia. Mr Geoff Purcell, Chief Technology Officer, Melbourne Water. Mt Tom Worthington, Honorary Senior Lecturer, Research School of Computer Science, Australian National University. A quick skim would suggest the Australian Productivity Commission's review "Shifting the Dial" (2017), into the Australian economy, has much to say about vocational education, but not much on universities. However, buried down under a bland sounding recommendation (3.4) that consumer law apply to universities is "The teaching-research nexus". "Part of the rationale for universities undertaking both research and teaching functions is the ‘teaching‐research nexus’ — the theory that close proximity to world‐class researchers makes students more engaged, develops their critical thinking, aids their research skills and keeps them up to date with the latest research findings." This was part of the reasoning behind the late 1980s Dawkins reforms, merging the colleges of advanced education with universities. As the Commission point out, there is a lack of evidence that research helps with teaching and the opposite is the case: research being detrimental to education. order to be able to label themselves as a ‘university’." This may be correct in a very narrow technical point of view, but I suggest shows a lack of understanding of today's global education marketplace. Australian universities are a major export industry. This industry attracts international students, partly based on the research reputation of the universities, as measured by international ranking systems. These ranking systems have little, if anything, to do with the quality of the education provided by the universities. However, students and their parents use these rankings to select universities and employers judge the quality of students partly based on these rankings. Australian universities are understandably reluctant to do anything which will jeopardize their research rankings. As it is, Australia has some universities with a research focus and some education. The Australian Government has encouraged universities to pair up to learn from each other, an example is the Digital Future project undertaken by USQ, ANU and UniSA, under the Collaborative Research Networks (CRN) program (Murphy & Farley, 2012). Rather than suggest teaching-only universities, or the reintroduction of pre-Dawkins colleges of advanced education, the Commission suggests work relevant "... skills and attributes can be nurtured by high-quality teaching-only academics as well...". However, I suggest teaching-only academics will not necessarily improve the quality of education, what is needed are academics with teaching skills and attributes. Academics who spend part of their time as a researcher can still make excellent teachers, but they need to be trained in how to teach. We can teach academics to teach quickly and efficiently on-line. One simple way to improve the quality of teaching at Australian universities, I suggest, would be to encourage (or require), academics who teach to be qualified to teach. This could begin with a qualification at the level of a vocational education teacher: a certificate (graduate certificate). 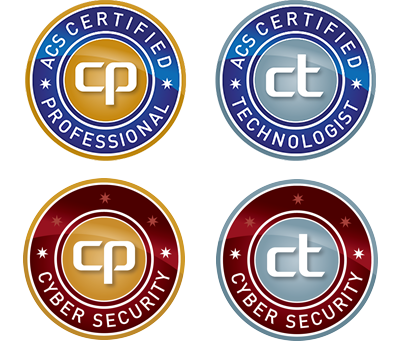 Specific disciplines may have their own forms of certification, such as the Australian Computer Society's Certified Professional, which could have a teaching specialism added (as Cybersecurity was recently). educational technology conference, UNSW Canberra on Monday. The Australian National University (ANU) is running Student Information Sessions in India, 14 to 19 November 2017: Tuesday 14 Bangalore; Wednesday 15 Chenna, Thursday 16 Pune, Saturday 18 New Delhi, Sunday 19 Mumbai. Hope to see you in my ICT Sustainability class, next year. Yesterday the Australian Productivity Commission released their five year productivity review into the Australian economy "Shifting the Dial" (2017). This includes assessment of productive investment in human capital, particularly education and training. This is focused on in Chapter 3 "Future skills and work". Much of the Commission's analysis and recommendations is focused on vocational education, proposing more federal government intervention and involvement of industry. However, this is an area where the Australian Government has had difficulty with relatively modest reforms. It is not clear the more complex policy proposed by the Commission could be successfully implemented, given the problems with the previous simpler system. As an example the proposed proficiency-based assessment, combined with "independent" accreditation, could result in more rorting of the system by providers, as experienced with the previous VET FEE HELP scheme. "The Australian Government should develop tools for proficiency-based assessment for skills where employers want to know how well an employee can perform a task, rather than whether they can perform it at all. The Australian Government — in conjunction with State and Territory Governments and the Australian Industry and Skills Committee — would initiate planning for proficiency-based assessment processes. The Australian Government should not compel vocational education and training (VET) providers to adopt proficiency-based assessment." The Australian Government should develop a framework to facilitate the independent accreditation of skills obtained through any learning method. "A capacity to assess and accredit skills and competencies acquired outside of traditional settings should be established and funded by the Australian Government. For university-level qualifications, this may be the Tertiary Education Quality and Standards Agency. the Australian Skills Quality Authority, should investigate areas of vocational education and training where an independent certification model could robustly test a person’s skills"
"The Australian Government should monitor consumer law developments in Australia and the United Kingdom (UK), to ensure that the Australian Consumer Law applies to the higher education sector. If, on further examination, it appears that action in Australia is difficult to mount and that the UK arrangements have had a positive impact, the Australian Government should clarify in legislation that the Australian Consumer Law does relate to higher education. This should give the student the right to compensation or the ‘right to a repeat performance’, on the same basis as other products that prove to be not fit for purpose. " "The Australian Government should ensure that Australians of all working ages can readily access comprehensive and up-to-date information about career and education options, including how to make career changes later in life. A further step is for the Australian Government to establish a cross-portfolio review of the policies needed to develop a workforce with greater capacity to adapt to structural change. The review would examine the changes needed in the education and training and tax and transfer systems along with the need for awareness raising approaches." sector — to develop courses for such qualifications. A smartphone is convenient for taking part in a webinar, or for recording a podcast. You need not be limited by the microphone in the phone. A desktop microphone can be connected via a splitter cable. 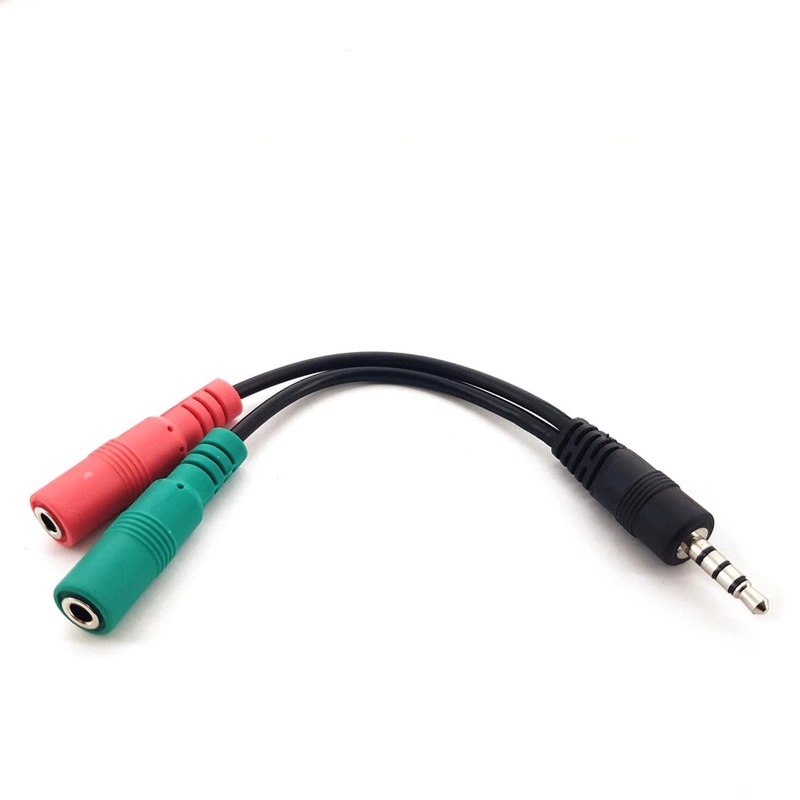 The cable has a plug for the phone (usually a 3.5 mm four pole "TRRS") at one end and sockets for a microphone and headphones at the other. I tried soldering my own adapter from plugs, sockets and cable, but I ended up with a short-circuit and burnt fingers. The "3.5mm TRRS Smartphone - Mic and Headphone Splitter" from Swamp Industries in Canberra was cheaper than the parts and actually worked. The only problem with the Swamp unit is that it has a volume control for the audio output. There is no indicator on the volume control, so it s easy to set it to minimum and wonder why there is no sound. Similar units are available from electronics stores and Amazon, without volume controls. The report Tomorrow’s Digitally Enabled Workforce (Hajkowicz, Reeson, Rudd, Bratanova, Hodgers, Mason & Boughen, p. 87, 2016) suggests, not surprisingly, that education is critical for the future workforce. The researchers suggest new jobs require lifelong learning (and relearning) provided by the educational sector, with business and government. One initiative the researchers point to is Iceland's ‘Innovation Education’ (Thorsteinsson & Denton, 2003), teaching students to identify, research and solve problems. They suggest using nationally developed teaching materials, which are then adapted for local use. A local example cited is the National Digital Learning Resources Network (NDLRN), used by Australian teachers. Hajkowicz et al. (2016) touch on the potential of so-called Massive Open Online Courses (MOOCs), but point out their low retention rate. Unfortunately, the authors seem to be assuming that MOOCs are the only form of digital learning available, ignoring several decades of successful delivery of on-line courses by open and distance universities, which predates the now fading MOOC fad. The authors suggest "better understanding" is needed if digital learning is to be into traditional campus life. However, I suggest Australian universities have now passed the tipping point where most courses are blended. Better understanding of how such on-line materials are used is required, but essentially the change to e-learning has already happened. Hajkowicz et al. (2016) suggest that workplace learning combined with mobile technology is a natural fit for re-skilling and training. I agree, but this is not as nascent as the researchers suggest. My work in the field suggests it is happening informally, driven by the needs of the students, even where not officially recognized, or endorsed by educational institutions. This is not being held back by technology (existing Learning Management Systems such as Moodle, have been retrofitted for mobile access). The problem is that while VET teachers are trained in workplace learning, their university counterparts are not. While discussing the need for investment in re-skilling the workforce, Hajkowicz et al. (2016) don't address the need to re-skill university educators in how to provide this form of education. Initiatives such as the ACS Intern Program, currently running at the University of Melbourne and the Australian National University, require specialised supervisory skills. 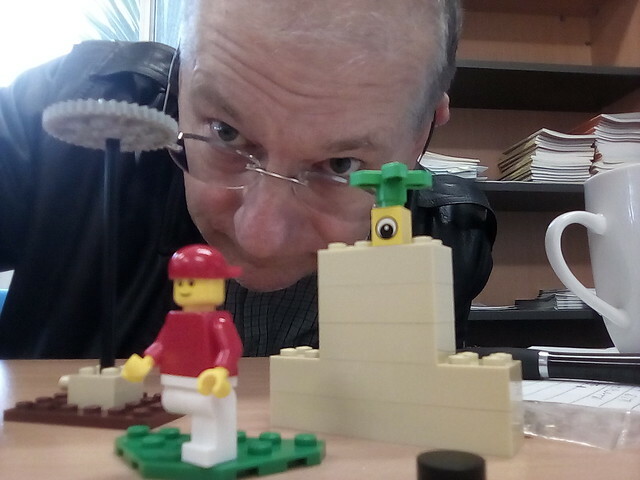 Today I took part in a Lego Serious Play session run for staff at the Australian National University in Canberra. This was conducted by Dr Stephen Dann, who customized the session to help those working on their Higher Education Academy Professional Recognition. We were each provided with a pack of Lego bricks and taken through a sequence of quick exercises, where we each built something and then discussed what we had built. This was a very carefully structured process, starting with concrete exercises to get us used to working with the bricks, through increasingly abstract discussing of our teaching and supervision practices. 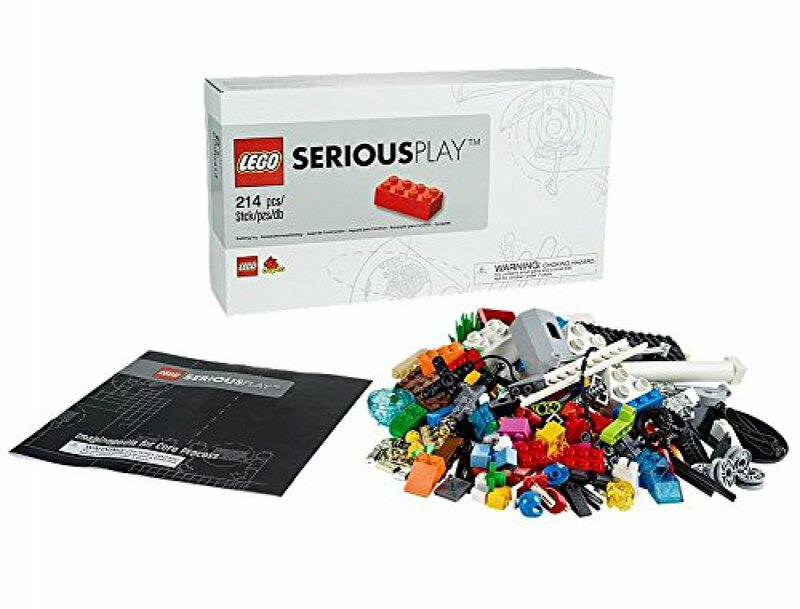 There is a 22 page "Introduction to LEGO ® SERIOUS PLAY ®". No fee needs to be paid to Lego to use the "Method", but obviously they would like you to buy their Starter Kits of Blocks. In addition there are are books on the method and scholarly papers. A free on-line course "Open Educational Resources: A Continuum for Practice" is being offered by the Australian National University (ANU), starting Monday. This is in the ANU Online Coffee Course Series, where the student spends fifteen minutes a day studying for a week. There are no tests, just on-line discussion. "In this upcoming course, you’ll explore some of the deeper issues surrounding open education; specifically, practical decisions and questions that should be asked when developing, reusing, and collaborating on open education activities. Each day the facilitators will provide stimulus for reflection and group discussion, as well as a synthesis of the previous days’ discussion." From Resources to Practice: why ‘mere access’ isn’t enough. ‘I’ll know it when I see it’, or, usefully defining quality in openness. Assessment in an open world: beyond the disposable assignment. Designing for reuse: PDF and the open practitioner. ‘Nothing new’ or radical reality? Putting openness into practice. Adrian Stagg, Manager (Open Educational Practice) for the University of Southern Queensland. Emma Power, research assistant for the Pro-Vice Chancellor’s Office (SILS), at the University of Southern Queensland. "... embark on an ambitious re-imagination of engineering and computing that will result in expansion of Engineering & Computer Science at the ANU. Reporting to the Dean, successful applicant will have responsibility for the oversight and academic leadership as part of a team that will develop a blueprint and business plan for the College for the next 10 year period while also providing support to the Dean with leadership and management of the College, and will be a member of the College Executive. ..."
Dean Elanor Huntington talked on "Why We Need Engineers Now More Than Ever" at TEDxSydney. Greetings from the Australian National University in Canberra, where Professor May O. Lwin (Nanyang Technological University) is speaking on "Social Media, Civic Engagement and Public Health: Experiences from a Mobile Initiative in Asia". Of particular is Professor Lwin's work on Dengue Fever in Sri Lanka (Lwin, Vijaykumar, Lim, Fernando, Rathnayake & Foo, 2016). The produced an application called "Mo-Buzz". Professor mentioned there would be an EpiHack conference on this in Colombo in early November, a five day hackathon to work on Dengue software. It happens in 2013 I gave a talk for the Sahana Foundation in Sri Lanka to an audience of tropical disease experts in Colombo about "Mobiles and e-learning for PandemicFlu Response". It turned out that there were a number of epidemiologists in the audience and the issue was Dengue fever not flu. The Texas-based Southern Careers Institute, a private for-profit school, has announced a tech-based training initiative called "WOZ U". This would not be of note, except it is named after, and apparently with the endorsement of, Apple co-founder Steve Wozniak ("Woz"). WOZ U is offering a "video-based curriculum," much like other online training institutions. Also like other online institutes, the emphasis is on low cost, as compared with traditional education providers. However, such supposedly low-cost programs need to be compared to what is available from more conventional not-for-profit providers, such as Australian TAFEs (and their US equivalents). Also, such online providers have a low student success rate, which needs to be factored into the cost. A program you have one-tenth the chance of completing successfully (compared to a conventional course) is effectively ten times the price. Woz U does not make any explicit claim to be a university. However, the use of the capital "U" implies "University." The word "university" only appears once on the website, on the about page where it says: "Woz U has established partnerships with traditional universities, businesses, government, and non-profits ...". However, there are no universities or government mentioned. The only business mentioned is Southern Careers Institute. The "Minerva Project" is a 2011 for-profit start-up, which provides a four year university program delivered through the previously established Keck Graduate Institute of California. The program is aimed at students, including those in developing nations, wanting a quality education. Minerva appears to want to avoid the stigma of on-line and distance programs, while using self-paced e-learning modules, MOOCs and open education materials. In the forth year they focus in their major, with the students encouraged to arrange their own study. In the final (fourth) year the student self-directed Capstone project (which sounds like "honors" at an Australian university). "The target market is the developing world's rising middle class who aim for an elite American education. Though the school's headquarters is in San Francisco, all courses are taught via an interactive online platform. Thus, both faculty and students can be anywhere in the world where there is sufficient bandwidth." 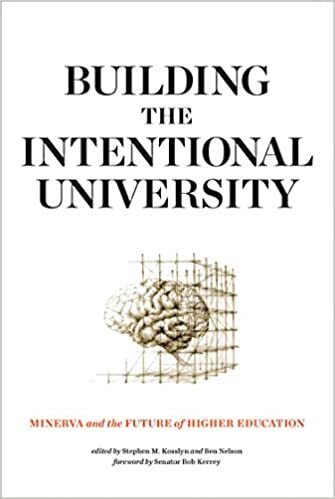 There is a book just out "Building the Intentional University: Minerva and the Future of Higher Education" (Ben Nelson and Stephen M. Kosslyn, MIT Press, October 2017). 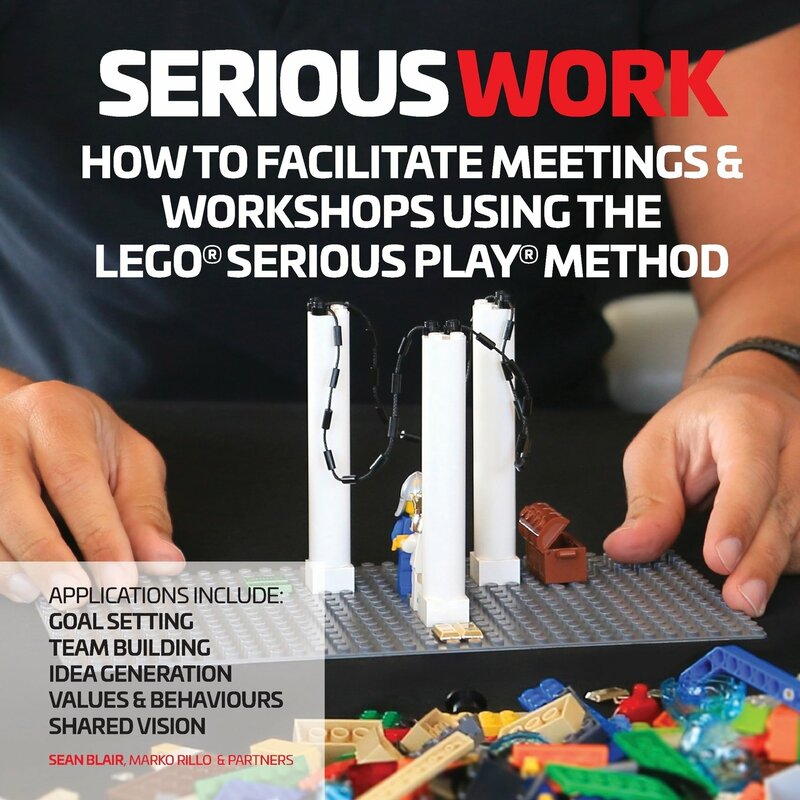 One of the more fun looking educational techniques for teaching creativity in a corporation is "Lego Serious Play Method". There is a 22 page "Introduction to LEGO ® SERIOUS PLAY ®". No fee needs to be paid to Lego to use the "Method", but obviously they would like you to buy their Starter Kits of Blocks. In addition there are are books on the method and scholarly papers. The Business Council of Australia (BCA) has released a 68 page proposal "Future-Proof: Protecting Australians Through Education and Skills" (October, 2017). This proposes putting the funding of Vocational Education and Training (VET) on an equal footing to university, to address the decline in the vocational sector. BCA point out that university programs attract more government funding and subsidized student loans than for VET. BCA suggest a "Lifelong Skills Account" for each student which can be used for VET and HE programs, in place of existing loans and subsidies. Also information on jobs and salaries are suggested to help students select courses. These proposals are worth consideration. However, untangling the current web of state and federal responsibilities for education is not going to be easy. Also the unintended consequences of policies that assume students act in their own long term interests and education providers act ethically, need to be considered. Richard Thaler recently won a Nobel Prize for work on behavioral economics. Perhaps some simple, quick, low risk, small scale "nudge" policies could help achieve reform. Some simple reforms would be regulations and financial incentives for universities to provide credit to students for courses done at other universities and vocational institutions. At present university will offer such credit, but after the student enrolls, they find that the amount of credit they actually get is very implied. Another reform would be to encourage universities to offer nested qualifications, so a student who has to withdraw after years of study is left with nothing but a debt. Recently I was asked how Ph.D. programs at Australian universities could be improved, so the graduates had better real-world skills, for jobs outside research. But this is the wrong question, and once you know what the right question is, the answer is easy. As Carr, Evans, and Hornby (2017) point out, an Australian Ph.D. (they use the example of Monash University) follows an apprenticeship model for teaching research. An Australian Ph.D. is not intended to provide a broad range of skills for industry, or to train educators: it is to produce researchers. In contrast, a Ph.D. in the United States includes elements of what Carr, Evans, and Hornby (2017, p. 180) call a "taught doctorate" and a "professional doctorate". Australian higher education regulations do not recognize a "taught doctorate", however, there is provision for a "professional doctorate", alongside a Ph.D. ("research Degree") at AQF Level 10 Doctoral Degree. The professional candidate still does research, but the emphasis is on the professional practice context. Professional doctoral students are likely to be out and about, in the field, not on the campus. Maor and Currie (2017) looked at the use of technology for postgraduate supervision at Australian universities, noting that this will be increasingly demanded by distance and part-time students. Kiley (2017) examined three Australian universities which had introduced coursework for Ph.D. students, including material derived from Professional Doctorate programs. They concluded that many supervisors consider "... in Australia that the Ph.D. is an individualized learning program negotiated between candidate and supervisor". I would agree this is the view of supervisors, but will this approach achieve the best outcomes for the individual student, or for the community (who are subsidizing this education)? Australian universities could tie themselves in administrative knots by trying to retrofit coursework requirements and non-research skills on an old fashioned Ph.D. apprenticeship model. However, this will be frustrating for supervisors and students who actually want a Ph.D. program. Alternatively, universities could accept the reality that more than 95% of doctoral graduates are not destined for a research career and instead offer them a Professional Doctorate program, with coursework and team supervision. The other 5% of students can undertake a PHD program. Carr, M. E. M. E., Evans, E. B. H. W. H., & Hornby, G. (2017). Comparative Review of Education Doctorates in Three Countries. The Future of Accessibility in International Higher Education, 175. David De Roure, Professor of e-Research at University of Oxford is ing The imagination of Ada Lovelace: an Experimental Humanities approach. In the introduction he was described as "disrupting the disruptive" with his approach to the humanities. He recommended the plan "Ada and the Engine". Professor De Roure described a thought experiment where Ada did not die young and programmed Babbage's analytical engine to play music. Emily Howard has composed "Ada Sketches" inspired by this. Professor De Roure then outlined how to program the analytical engine, which is similar to an early microprocessor. The CPU is called a "mill", a term still in use when I learned computing. He then ran a program to play music inspired by "Ada". This sounded to my untrained ear like the soundtrack of a Peanuts cartoon, played on a harpsichord. Professor De Roure described this as "Experimental humanities" the algorithmic equivalent of "close reading" in humanities research. piano inspired spread spectrum torpedo guidance system. Professor De Roure is visiting ANU for the next month. He is giving the keynote address at Musicology in the Digital Age in Sydney on 14 October and is the first plenary speaker at eResearch Australasia on Creativity in Digital Scholarship, in Brisbane on 18 October. working in teams with a supervisor, ANU technical staff and a consulting firm. Overall load is approximately 100 hours effort with a stipend. This opportunity is also open to students undertaking the course "ICT Sustainability" (COMP7310) at ANU in Semester 1, 2018. Research undertaken during the internship can be submitted as assessment for the course. Please contact Dr. Igor Skryabin from the ANU Energy Change Institute for details of the internship and Tom Worthington from ANU Computer Science for details of ICT Sustainability. A meeting about the ANU Energy Master Plan,will be held 16 October. ECI is creating a multidisciplinary team of half a dozen of ANU students supporting the development of ANU Energy Master Plan. What is the Energy Master Plan? The ACT Government, which looks after Canberra's schools (both public and private) has issued a discussion paper and invited comment on The Future of Education. There is an invitation to join the conversation through social media #EducationforthenextGeneration on Twitter and Facebook, plus and the ACT Government own Your Say Platform. "What works, or could be improved in our education system? How do we make sure the way we teach suits how every child and young person learns? What does success look like? How can we help our children be successful in a way that suits them? How should schools; their communities and the community sector better connect to support learning? How can we increase access to affordable quality early childhood education and care (childcare), particularly prior to preschool? How do we make sure all vulnerable children and young people have high quality education and care?" public library and collocated with Gungahlin College. However, teachers need to be trained to teach using technology and also how to teach in teams for the smaller, but still important part of learning, which will take place on campus. Australia's universities are phasing out obsolete lecture theaters, replacing them with blended, flipped and work integrated learning. The ANU Manning Clark Center lecture theater complex was demolished a few weeks ago, to be replaced with flexible spaces. The best way to prepare teachers to teach in new ways is to train them using the same techniques. Canberra's teachers need to be comfortable and familiar with learning on-line and teaching in a team with other teachers. I have explored some of these topics in my book on Digital Teaching. Klimova and Rondeau (2017) look at sustainable development and green technologies in university computing (ICT) curricula. The authors begin with the broad area sustainable development and then more specifically green computing interchangeably. Sustainable development is a far broader field than green computing. Sustainable development, in the context of the United Nations Sustainable Development Goals (SDGs), aims to meet human needs as well as environmental benefits. Green computing is limited to reducing the environmental impact of computers and using them for environmental benefit. Klimova and Rondeau (2017, p. 4) found that 13.6% of joint master degree scholarships in the EU's Erasmus Mundus program are for sustainable development. Only one program "Pervasive Computing and Communications for Sustainable Development" (PERCCOM), covers explicitly green computing. The authors suggest the UK are leaders in green computing education at universities. I was not able to find the cited Leeds Beckett University MSc in Sustainable Computing, only an examiners report from 2015/2016. The University of Leicester Master’s degree in Environmental Informatics is still offered, but this is accredited by the Royal Institute of Chartered Surveyors, rather than the British Computer Society and may not be considered a computing degree. Similarly the Lancaster University Data Science MSc may be a more general science degree. Scandinavian countries are rated next after the UK for incorporating sustainability, followed by Germany. ICT/computing". My ICT Sustainability course, offered through the Australian Computer Society, the Australian National University, and Open University Australia is cited in support of this (Worthington, 2012). The authors suggest that sustainability education will be driven by industry demand, particularly for datacenter energy saving. They suggest there may be future opportunities for smart cities, buildings, energy grids, and transport, in part driven by international climate change agreements. older students, diverse learning styles, those in a noisy environment or with older technology. I suggest this could also help for low bandwidth users: in the extreme case a series of still images and text captions could be used in place of video. However, the report notes that captions or transcripts are not routinely provided (Kent and Ellis, p. 10, 2017). But the only support they provide for this is a blog posting from me (Worthington, 2015). The report addresses lecture recordings. However, it should be noted that live lectures, webinars, and video-conferences are also capable of being captioned. Commercial services now provide for live captioning via the Internet. A human operator listens to the audio and types the captions in real time. In a working paper for the University of Cambridge Engineering Department, Livesey, O’Sullivan, Hughes, Valli and Minshall (2008) look at strategies, leadership and metrics for innovation at UK universities. The report does not draw any clear conclusions, and it does not address the issue of explicitly teaching innovation and entrepreneurship to students or staff. The assumption seems to be that this is something which happens naturally, alongside research. 5pm 11 October 2017.Please RSVP. Online learning has become a well-recognised part of the broader landscape of higher education. It is also proving to have a critical place in widening access and equity within this landscape. Increasing numbers of students from backgrounds historically under-represented at university are taking the opportunity to begin undergraduate study online, including through open-entry and alternative-entry pathways. However, retention in online undergraduate programs has been shown to be at least 20% lower than in face-to-face programs (Greenland & Moore, 2014; Moody, 2004), with an Australian Government Department of Education and Training report (2014) finding that only 44.4% of fully external (online) students, compared with a rate of 76.6% for face-to-face students, completed their undergraduate degrees over an 8-year period. This presentation provides an overview of a national research project investigating the effectiveness of practices, supports and retention strategies in online learning at Australian universities and at the Open University UK. It discusses the background to this research, its findings and outcomes. Together with evidence from the international literature, the research findings informed a set of national guidelines for Australian institutions for improving the participation, retention and academic success of students in online education. Dr Cathy Stone, from the University of Newcastle, is a 2016 Equity Fellow and a 2017 Visiting Research Fellow with the National Centre for Student Equity in Higher Education. 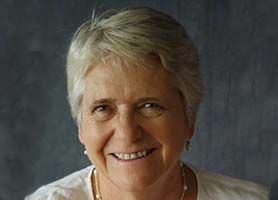 Cathy has had many years’ experience in developing and managing strategies to improve student success and retention in higher education, with her research and publications focusing particularly on the experiences of mature-age and first-in-family students. Cathy’s work with Open Universities Australia between 2011-2014 developed her interest in researching the online student experience and ways in which to improve outcomes for diverse cohorts of online students. A report on "The role of VET in the entrepreneurial ecosystem" by Scott-Kemmis (2017) has been released from the National Centre for Vocational Education Research (NCVER). This report investigated start-ups in the Australian Capital Territory (substantially the same as the city of Canberra) and what role vocational education and training (VET) qualifications of the founders had. A high proportion of startups in Canberra were by graduates and staff of local universities. The report appears to confirm that initiatives by Canberra's local Government and universities, specifically with the Canberra Innovation Network (CBRIN) has been effective in creating a ACT entrepreneurial ecosystem. In contrast, VET qualifications appear to play little part in the startups, and the authors make recommendations for improving this. ps: I came across this report while researching a presentation on "Digital Teaching for Entrepreneurship" for academics from China. To my surprise, I found a very recent report, not about China, but about Canberra's entrepreneurial ecosystem, which is based a less than a km from my office. Professor Glyn Davis, Vice-Chancellor of the University of Melbourne, will speak on his new book The Australian Idea of the University, at the Australian National University, in Canberra, 6pm 31 October 2017. "The lecture by Professor Davis will draw on his forthcoming MUP 2018 book, The Australian Idea of the University, which asks why a nation scattered across a continent, in a world with so many competing visions of the University, is content with a single type? 2017 has seen criticism of universities in Australia, the United States and United Kingdom, essentially around their perceived distance from community and national imperatives. Academic work is characterised as unconnected with the concerns of society, universities as wealthy and unresponsive. Are we approaching a Henry VIII moment, when a future government decides to dissolve the familiar public university?" I spent much of the last three years contemplating the Australian idea of the university, as a Masters of Education student (ironically studying on-line in Canada). Australian higher education was founded to provide both academic scholarship and vocational skills, which is something many academics choose to forget. The book "A Vision Splendid: The History of Australian Computing" by Graeme Philipson, will be launched by the Australian Computer Society (ACS), at the National Library of Australia in Canberra, 5:15pm, 9 October (please RSVP). Some of Graeme's research for the book was posted to the ACS website in a series of "ACS Heritage Project" articles. I was delighted to be able to point Graeme to computer pioneer David Hartley, who I worked for briefly in Brisbane. "Australia has a long and illustrious computing history. Trevor Pearcey’s Mark 1, known as CSIRAC, dates from 1947 was one of the first electronic computers in the world. There followed a range of other remarkable achievements, from remarkable people. But Australia’s computing history is not well-known. This book is the first time it has been documented from the beginning. There have been corporate histories, and academic studies of various aspects of the industry, and a great many reminiscences. But they have never previously been brought together in a comprehensive history." ps: John Bennett, features prominently in Australia's computer history and edited the ACS's previous history: "Computing in Australia : the development of a profession" (1994). In 1996, I was in the UK as President of the ACS to meet my BCS counterpart, I stopped off in Cambridge and handed Professor Robin Milner, Head of the Cambridge University Computer Lab a copy of the ACS history. He looked at the cover and said "Young John Bennett!". John had been a student at the university, building the EDSAC computer in the 1950s.